Ron Grinberg Architects designed the offices for software company Sentinal One, located in Tel Aviv, Israel. This new Skyscraper Azrieli Sharona is a very daring building , twisted and tilted positioned. Our concept was to design a joyful, colorful and young working environment for a young company with young employees. Most of the employees are sitting in open space benches so we divided the floor to rather small areas each for a different department thus giving them intimacy Privacy and acoustic values. 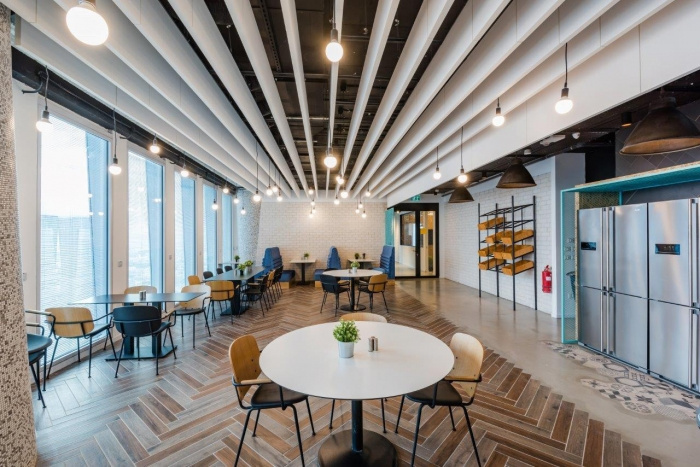 This was done with wood and color partition screen and the use of other raw materials such as iron columns, swings, small meeting rooms and small reunion areas amphitheater style. 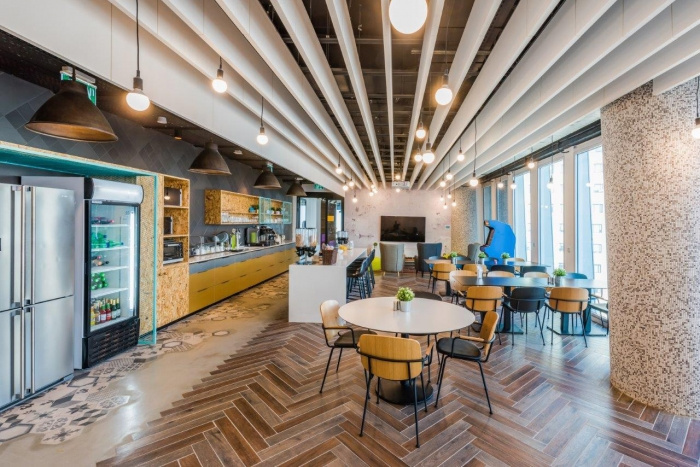 The design language is derived from loft and home design so to give the employees the secure and warm feeling of home and a varied surroundings that will inspire their work and achievements.